Music will be provided by Etna Old Time Association. Food from Carline and Balvin’s Jamaican Jerk will be available for purchase. Beverages from Poverty Lane Orchard & Farnum Hill Ciders will be available by donation. Click here to purchase your $5 admission in advance. Tickets are also available at the door. 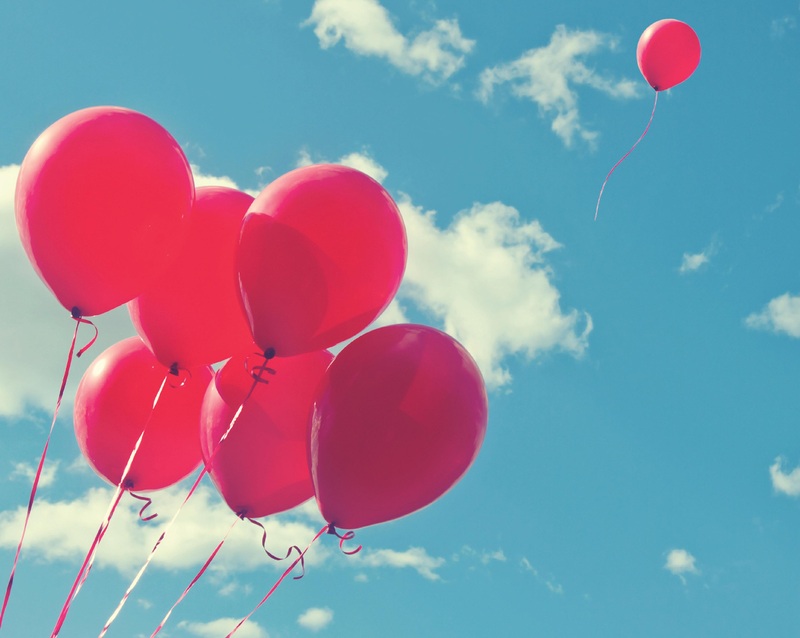 There’s still time to submit a story. Click here for more information. Come join the fun! The brainchild of AVA Board member and physician Emily Ridgeway, The Mudroom was launched in September 2013 and has already become an established, much anticipated quarterly social gathering for adults, with audiences arriving from far and wide. 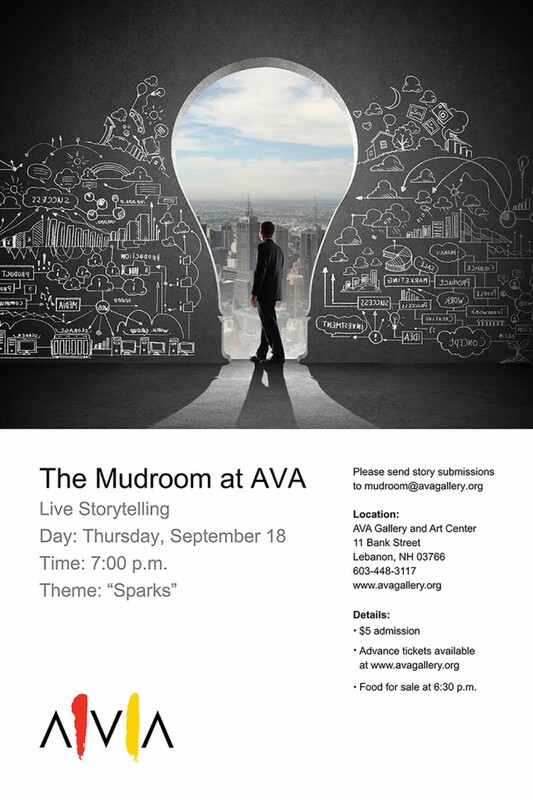 The next Mudroom will be held on Thursday, September 18, and the evening’s theme, “Sparks,” is certain to ignite, well, sparks of inspired storytelling. 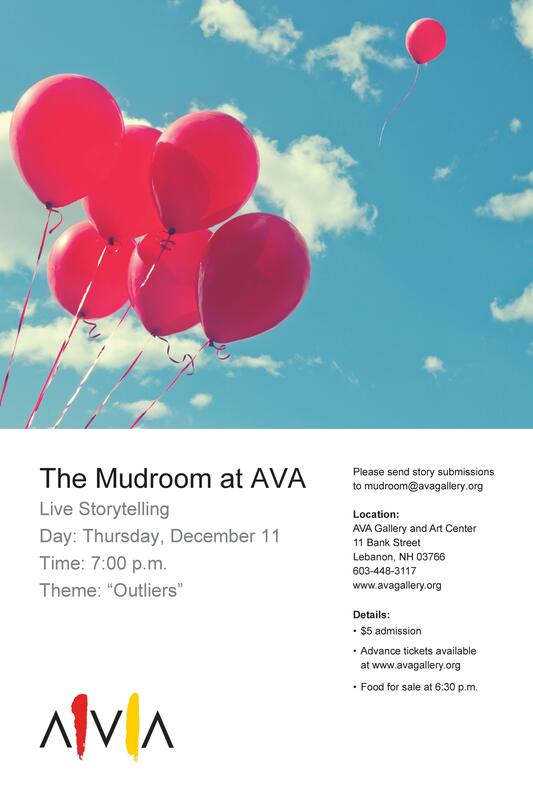 The final Mudroom of the year will be December 11, with the theme “Outliers.” And the first program of 2015 is scheduled to take place on March 5 (which may actually coincide with our notorious mud season). If you have a story you would like to be considered for presentation at The Mudroom, please click here to email for more information. Everyone who submits a story will be contacted prior to the event, whether they are selected or not. Open to the public, adults only please. 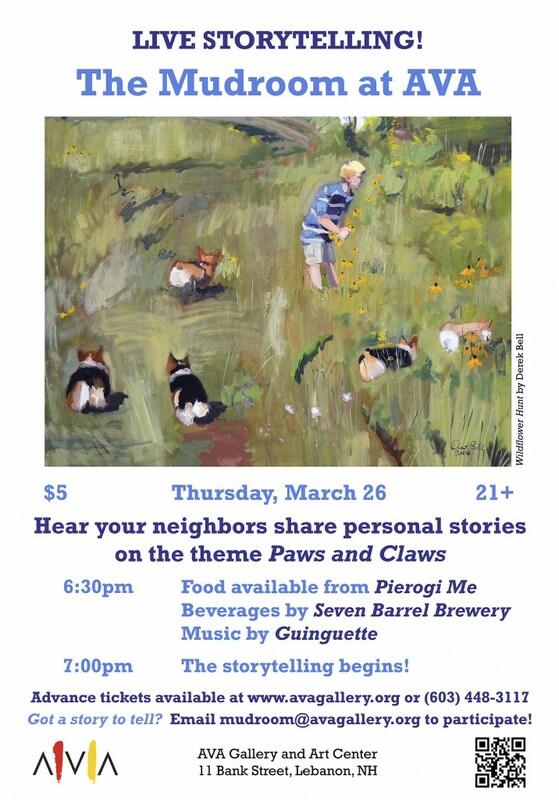 Refreshments are available for purchase from 6:30pm, and the storytelling begins at 7pm. The $5 admission may be purchased by clicking here. Please join us for memorable evenings!